Ukraine is nearing a critical point regarding the international support, said Sotnyk. 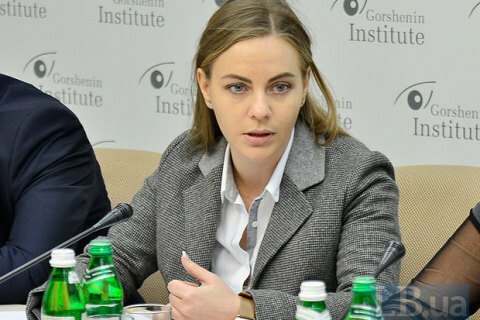 President Petro Poroshenko, foreign ministry and PPB faction do not support the introduction of visa regime with Russia because of the agreements reached in the "Norman format" negotiations, MP Olena Sotnyk (Self-Help) told an LB.ua reporter on 5 October. "The president and foreign minister and representatives of president's political force demonstrate caution in about this issue, which indicates that they have an agreement or strategy in the "Norman format". We do not know what the participants of the negotiations have agreed upon. We only get the decision to withdraw troops, for example," Sotnyk said. Double standards weaken Ukraine's position in the international arena, she said. "We need to change our foreign policy. We come to a critical point regarding the support for Ukraine by the international community. Russia has little levers of influences in each "Norman format" country, and they have successfully conducted subversive activities these years. Minsk agreements have exhausted themselves. We need to take clear steps and close our borders from the aggressor,"-. Sotnyk said. The "Norman format", said the MP, aims to return the occupied territories back to Ukraine on unfavourable terms.